Aaron Neuwirth reviews The Ballad of Buster Scruggs, an anthology western film from the Coen Brothers. Things are as bleak and humorous as you'd expect. The prospect of seeing Joel and Ethan Coen take on an anthology film was an exciting one. 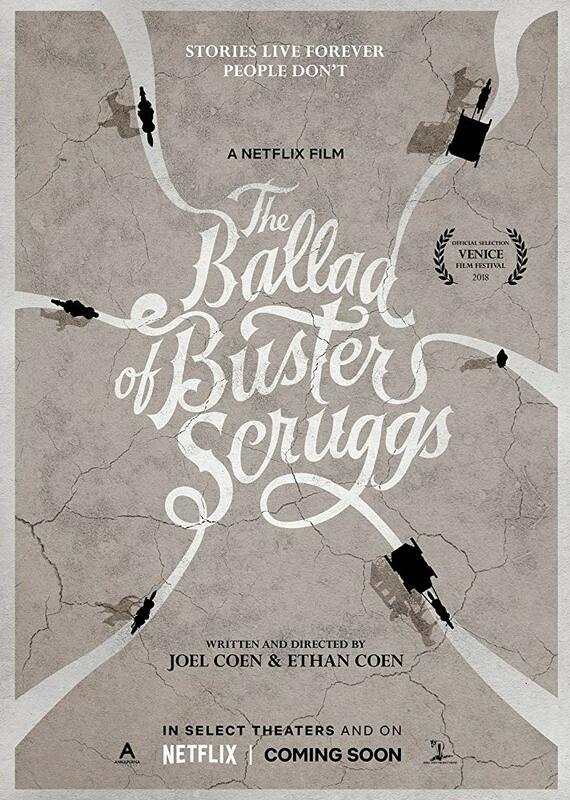 The Ballad of Buster Scruggs is the title of the first of six short, unconnected films that make up this Annapurna/Netflix production. Each short tells a story about the American West, and every one of them packs at least one signature Coen Brothers moment. 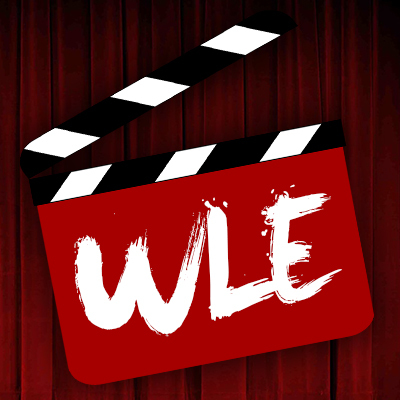 Following the idiosyncratic filmmaking duo’s salute to the Golden Age of Hollywood with Hail, Caesar!, here’s a film that once again gives way to their more sardonic sensibilities. Something I quite admired about Hail, Caesar! was the Coen’s attempt to pull away from their misanthropic takes on what to do with their characters. Now, we still had a series of dim-witted folks stumbling around 1950s Hollywood, but it felt like a chance to show once again they don’t necessarily hate their characters in the way their harshest critics say. There has undoubtedly been a provocative element to many of the Coen’s films when it comes to subverting expectations, but it still comes from a place of skillfully crafting the various players, even if their fate tends to lean towards a darker path. 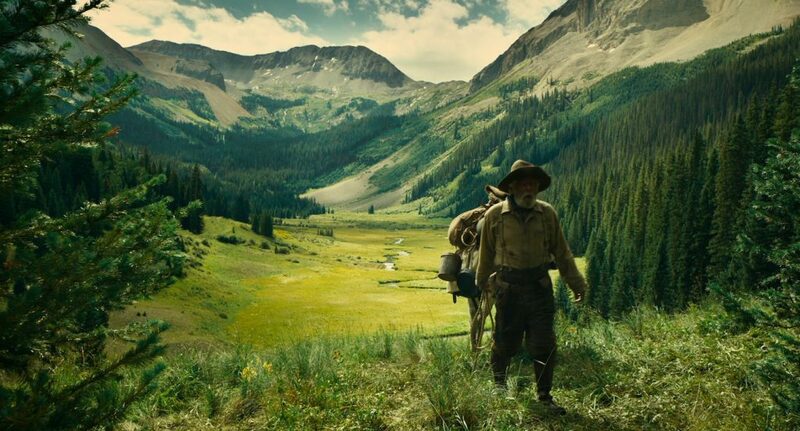 So now, after putting all that out there, here’s The Ballad of Buster Scruggs, a series of shorts set on the wild frontier, which leans harder than ever on how bleak things can get. To its credit, the film is often very funny, perhaps further enhancing just how nihilistic this whole affair is. The opening story, featuring the titular Buster Scruggs (Tim Blake Nelson), is by far the zaniest and most openly hilarious. Nelson plays a singin’ and dancin’ cowboy, who always packs a smile next to the guns in his holsters. The fact that he’s a kill-crazy sharp-shooter makes it clear that this is all a sick joke to undercut the Roy Rogers-like attitude first presented to an audience. The tone changes from story to story, but none of the others attempt to throw a viewer off regarding implications. Buster Scruggs wants to invite viewers in with its broad take on a happy cowboy, but make no mistake; there’s a violent and twisted film lurking behind the grin of ol’ Buster Scruggs. 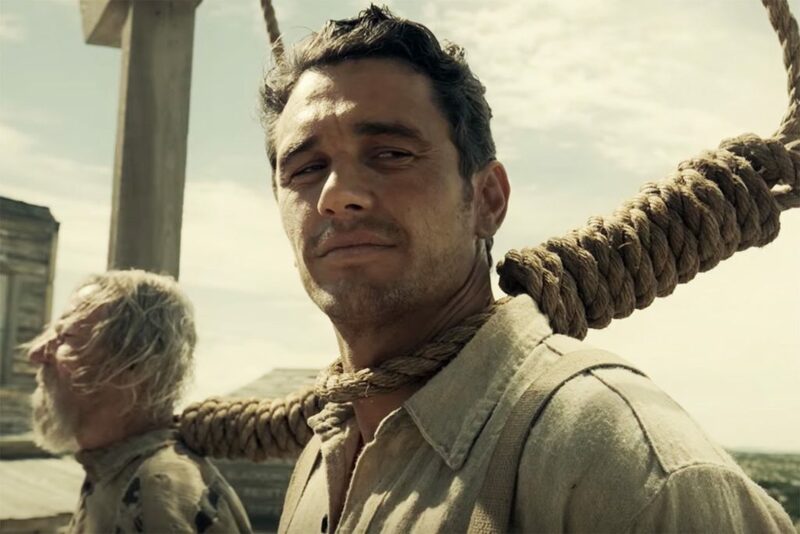 One story finds James Franco as a wannabe outlaw who learns crime doesn’t pay, the hard way. Tom Waits gets to headline his own story as a prospector looking for gold and finding blood as well. Zoe Kazan is featured in the longest of the shorts, as a woman on a wagon train dealing with the cruel irony of what life can bring those looking to move out west. Liam Neeson…well, best just let the film show you the macabre tale that was set up for him. As with any anthology film, there are highs and lows to be found. The rip-roaring sense of fun that feels like the Coens are channeling their pal Sam Raimi in the opening two shorts is not the same kind of feeling to be had in the second set of stories. I wouldn’t consider any to be bad, but at 132 minutes, not entirely securing a solid sense of greatness across the board becomes all the more noticeable when these different stories all have their own sense of pacing and intention. Aspects that do hold strong through each story, however, is the look, feel, and sound. With production design and cinematography handled with as much meticulous care as the dialogue, it would be hard to argue against the impressive presentation of the west. Cinematographer Bruno Delbonnel once again works as a tremendous aid to the Coens in bringing out the qualities they surely hoped for. Along with fantastic production design and locations to utilize, Delbonnel is able to capture a stylized take on the west that feels distinctive for each story. Between the different color palettes and how his work matches the tone of the story, there’s plenty to take in whether it’s the green grass and blue sky that feels so present in the Waits story, or the cool blues that bring a more ominous feel to the final tale. Carter Burwell’s expectedly great score is in no way coming up short either. 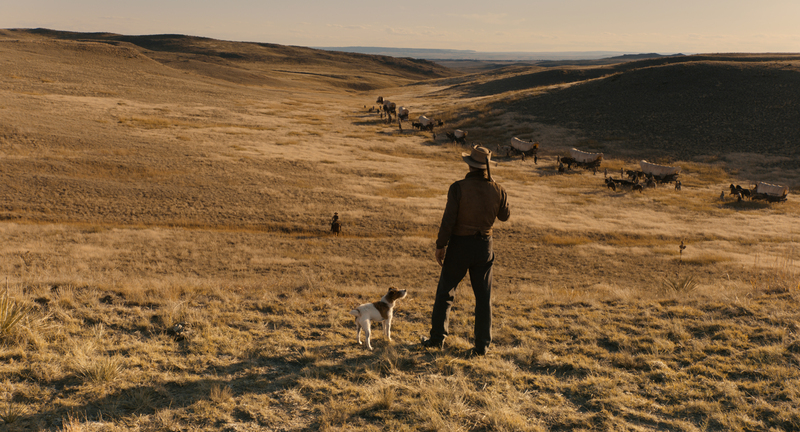 Whether it’s accommodating the crooning of Buster Scruggs, or accentuating the utter sense of desolation that fills the Neeson-focused story, an audience will be able to get a lot of different feelings from what the west would be able to offer, through the lens of a Coen Brothers picture. And while a stirring score played across a vast landscape is plenty affecting, there’s also a great understanding of how quiet to play scenes as well. Buster Scruggs may not offer too many apparent references to directors such as Hawks or Leone, but it’s moments like smart sound design that certainly signal the love they do have for this genre and many who have tackled it. The sort of satisfaction some will get from these series of stories will likely vary. The Coens are wise enough to know that none of these would necessarily benefit from going on longer than they need to, down to the point of making some a bit more open-ended than expected. If anything, there’s perhaps, even more, to take away from a thematic level when it comes to the sense of closure (or lack thereof) provided by many of these stories. While it’s a great benefit to not know many of the twists and turns of these shorts, there is a familiar sense of retribution that will become more and more apparent, as the film moves along. Of course, it’s not like the Coens are against playing fair with their characters either. This is a western that stakes out a territory, with all kinds of dastardly plans for it.